I don't have a comic for you this week. April has been a very busy month. I've spoken at TWENTY schools--in Kansas, Virginia, Maryland, Washington DC, and my own state of Utah. This is Cher Ami, a one-legged stuffed pigeon who can be found in the WWI cabinet in the Museum of American History at the Smithsonian. I guess now is as good as place as any to reveal it, Hazardous Tales #4 is about World War One. 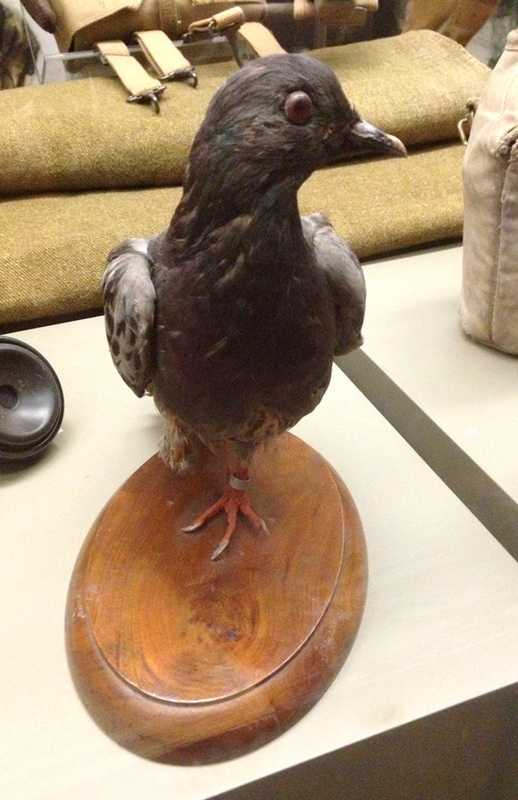 This pigeon is a bonafide WWI hero. He helped save a group of American soldiers known as the Lost Battalion. How? Well, you'll have to look him up. I don't want to spoil his adventure here. Will Cher Ami be appearing in his own comic soon? Chances are pretty good. So Exciting. Clint says: Lost Battalion. Cool! WWI?! Wow! I can NOT wait for that!!! WWI book is still a ways off--the third book (Donner Party) will be out this summer, WWI after that. Most likely next spring. Ermergersh! I can not wait for that book! CANNOTWAIT!!! Wait, how long is the NHHT series? I CAN'T WAIT!! How long is the NHHT series? I love WWI. I mean, it was obviously terrible, but so interesting. Very excited for this one. Lipstick sales always go up during times of war...maybe there's a Revlon endorsement in the wings. It's perfect for your target audience too. So so so so so so so excited for a WWI Hazardous Tale. Fantastic.